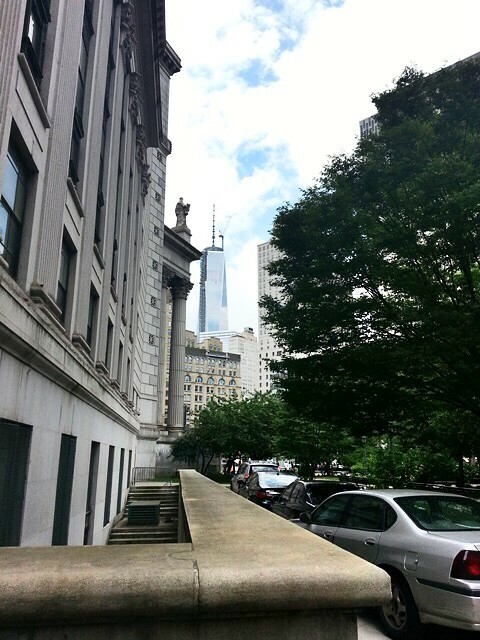 Best of 2013: WORLD TRADE CENTER naming rights and municipal IP policy – What rights? “Best of” posts will continue until next week. This was originally posted on September 9, 2013. For more than four decades, the World Trade Center — whether standing majestically over lower Manhattan, lying in the ruins of a terrorist attack, or awaiting resurrection in a new form — has been one of the world’s greatest public landmarks. But in a quiet deal nearly 30 years ago, the Port Authority of New York and New Jersey sold off the rights to the iconic buildings’ name to a non-profit organization established by one of its powerful executives. Now, with the Port Authority hoping to sell branded souvenirs and merchandise next year after the new One World Trade Center skyscraper opens, the World Trade Centers Association is requesting free office space worth more than $500,000 a year in exchange for use of the trademark. . . I have been writing for a while about some of the concerns we might have, as a matter of public intellectual property policy, about municipalities — or in the case of New York State, quasi-municipalities, which is what the “authorities” such as the Port Authority and the Metropolitan Transit Authority are — and “their” IP claims in things that we think of as belonging to the public. So I’ve given you hyperlinks, if you want to read what I wrote, and I won’t write it again. What rights, exactly, are we talking about here when we say the PA “sold off the rights to the iconic buildings’ name”? Let’s consider the question of building names as intellectual property — which, of course, I have considered a little bit myself in this space too. So let us suppose there is a protectible WORLD TRADE CENTER trademark — that the term itself is not generic. I will save you the trouble of checking — the WTCA has registered bunches and bunches of trademarks, including trademarks for all kinds of WORLD TRADE CENTER junk in connection with which the WTCA obviously has no secondary meaning whatsoever but which, under modern conception of trademark rights, is what it is. The WTCA, which has its trademarks in more than 100 countries, charges an initial $200,000 for use of the name on a building, plus $10,000 in annual membership fees. The Port Authority, owner of the nearly completed skyscraper called One World Trade Center, pays the $10,000 fee, records show. Silverstein Properties, the firm that is building three other towers on the site that also use the name, has an undisclosed agreement with the association, Richie said. Each year, more than 320 members, public and private, also pay. In 2011, the company’s revenues were $6.9 million. What is a license? Is it just the right to have a name and charge other people to use it? Companies that license their trademarks should be aware that their licensed trademarks may be declared abandoned and unenforceable if they engage in what is known as “naked licensing.” Naked licensing occurs when a licensor fails to exercise adequate quality control over a trademark licensee’s use of the licensed trademark. When courts find naked licensing, the nearly inevitable result is a judicial declaration of trademark abandonment. The Record’s great article on this potentially scandalous business doesn’t mention what, if any, quality control provisions are found in the license running from the WTCA to its member mini-WTC’s around the world. You would expect that to qualify as “a World Trade Center,” your World Trade Center should be rippling with urban muscle, and — something, whatever. Something World-Trade-Center-ish. [The WTCA’s] members are an eclectic mix. The one in the United Arab Emirates city of Dubai is a 39-story tower with embassies, government offices and corporate headquarters. Boston’s is a 428-room luxury hotel and large convention center on the seaport. There is also one in a run-down storefront off Hudson Street in Hackensack. Suite 1 of the building is the home of the World Trade Center of Northern New Jersey, which doubles as a real estate office. Kley Peralta, a 70-year-old real estate broker who runs the center with his son, the owner, said they get business leads through the World Trade Center network. Tsk. Poor Hackensack — that’s in Jersey, folks. It’s always going to be Jersey, isn’t it? Well, anyway — that, I think, is the question no one is asking here, but the one that should be asked. What, exactly, is the WTCA selling? Is it a naked license, just the right to use a name in exchange for money? If so, the WTCA may not have done a very good job of managing its trademark, if and when someone — say, someone like the Port Authority – challenges its claim to exclusive control over the name. On the other hand, the WTCA had a pretty good run on its initial ten-dollar investment. The big losers, of course, are the members of the supposed constituency of the Port Authority, i.e., poor slobs like LIKELIHOOD OF CONFUSION® who utilize its outmoded, inefficient and over-utilized facilities to schlep from New Jersey to New York City and back again every day. Because my guess is, looking at the way that transit system works, that the PA has probably blown that ten bucks by now. UPDATE: More from The IPKat. I love using this example in talks. I think it’s a perfectly legitimate sale of trademark rights … just not a very smart one. Its that you understand my mind! You appear to grasp a great deal about it, such as you had written your book within it or something. I believe that you just can do by incorporating w. g. to force the material house a lttle bit, but instead of of which, that is superb weblog. An excellent understand. Let me absolutely come back.